This method is perfect for World War II “birdcage” style canopies. The decal film may be cut in curves to do curved frames, but it works much better when used for short segments of straight frames. For this example, we will use my Curtiss XP-55 Ascender kit from MPM which has been sitting unfinished ever since the kit was new. The large greenhouse canopy is perfect for this method, because almost every one of its frames is a straight line; there are few awkward curves to bend the decal film around. The first step is to assemble all your materials. Picture 1 shows the brand new clear decal sheet. Picture 3 shows the model awaiting its frames. Cut a piece of the trim film sheet to a manageable size and paint it with the interior colour matching the cockpit paint already in the model. In this case that's US Interior Green. I brush painted this, and didn't worry too much about brush marks. See picture 4. Once the interior colour is dry, paint the colour of the outside frames. For the Ascender that's US Olive drab. I sprayed this coat, covering up the brush marks which were visible in the interior colour. See picture 5. Cut each strip to the length desired for the frame segment you're doing. Soak and apply the decal as you would any other decal. Picture 8 shows the vertical frames in place. Brush on some setting solution to help the frame settle into place. Larger areas such as the rear of the canopy between the side windows may be cut out and applied as one piece. Picture 9 shows all frames in position and softening under the influence of the setting solution. 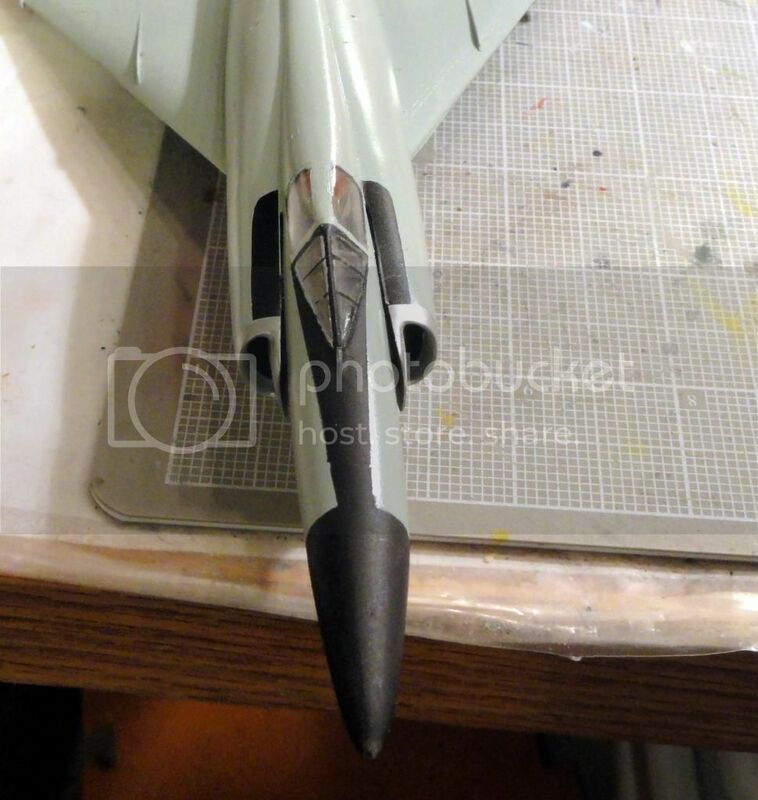 The model may now be left overnight for the decals to set. Canopy frames done using this technique are much sharper than freehand brush painting, and a great deal less frustrating than fussing with microscopic bits of masking tape. I used enamels for this demonstration, and quite hot water when soaking them. I do agree that the paint may flake, especially when it's bent sharply. It's been my experience that the thicker the paint, the more likely it is to flake. Do you coat the canopy with Future at any time? Generally after the decals have dried and any necessary tweaking has been done I'll seal it all down with Future. Once that's dry the frames may or may not get a brushing with clear flat. I've done this using spare decals from kits and a single brush coat Tamiya acrylic without problems, most recently on my Arado Ar196 for Ancient Airfix campaign. Masks are better if available, this is my preferred alternative. Excellent tutorial. Window frames have been one of my hang ups. Jessica, what's your source of clear flat? I use Humbrol mostly, but any brushable clear flat coat will work.